His music is like an elixir to the soul, his voice gripping and provocative, his sound is the blueprint to the era of late 90’s RnB and is still revered and celebrated today. Case Woodard aka Case, is a pioneer in the RnB world and has been providing us with the soundtrack to our generation for the last 20 years, dating back to 1992, when he first emerged onto the scene., co-writing and background singing with the likes of Christopher Williams, Al B Sure and Usher, before finally taking the solo artist path. Releasing his debut album Case on Def Jam back in 1996, which spawned the classic hit ‘Touch Me Tease Me’, a track that found its way onto the Nutty Professor soundtrack album and reached #4 on the RnB charts! Following the success of his first album saw the brilliant works of his second album Personal Conversation in 1999 and the resplendent hit singles “ ‘Faded Pictures’ with singer Joe, ‘Happily Ever After’ ( reaching #3 on the RnB charts) and took the album to eventually achieve platinum status. Case went on to solidify himself as a force to be reckoned with, comprising impressive talents in song writing and of course the bearing of a voice that lingers long after the song has ended, Case was and still is the quintessential RnB artist of our time. 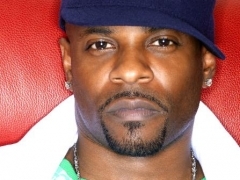 With his third album being released on the newly imprinted label Def Soul in 2001, Case was its first artist and bore the Gold winning album Open Letter. With its #1 charting single ‘Missing You’, produced by hit makers Tim and Bob, Open Letter proved to be the album that secured Case as an industry and fan favourite for his honest, raw and sincere lyrics to songs that still to this day are part of the fabric of RnB’s rich tapestry. 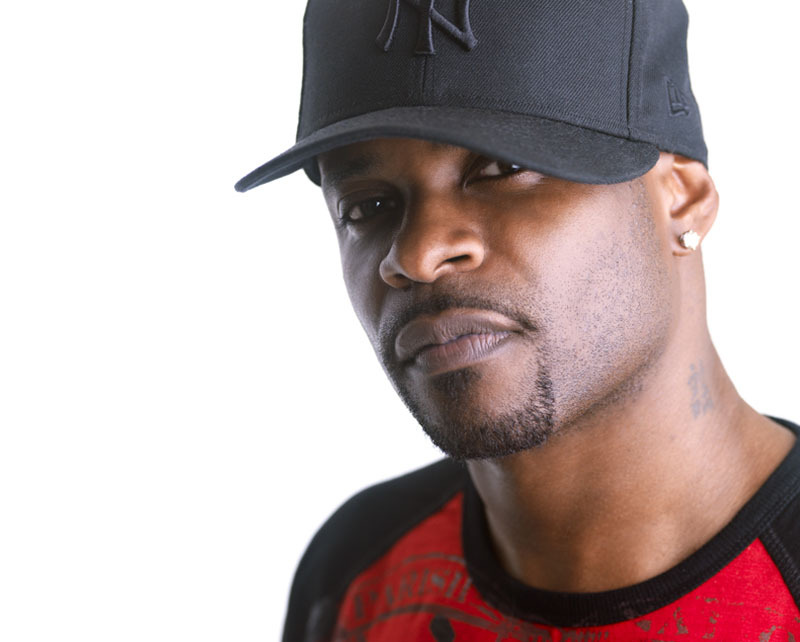 With two more albums that ensued, The Rose Experience in 2009, and the long awaited 5th studio album Heaven’s Door, due for 2014 release, Case proves that his ingredients to creating the perfect blend of rnb / soul, mixed with a lick of hip hop laced with raw emotion is the formula for irrevocable success. 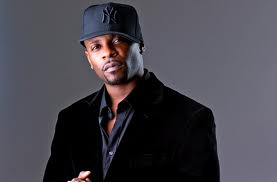 The multi-platinum, Grammy Award nominated Case remains to many a mystery in a way, as he is an artist who has never stopped working, creating amazing musical success on legions of movie soundtracks, has worked with the cream of the crop in the world of RnB and Hip Hop yet has remained amazingly elusive at the same time. Much like his music, once you hear it you are hooked and never tire of the hits he has made and continues to create. Residing in Atlanta, this New York native prefers to spend his time as a father to his children and a creator of the RnB sound that shaped the late 90’s, continuing to share his amazing gift of music that shifts your soul. I have always been a fan of Case and I always be for an artist whose passion for his craft can be heard and felt in every word he sings. This is where Case is today and his journey is far from over! Hi Case, thanks so much for your time to do this interview with me – so appreciated. How are you and how has life been treating you? Thank you for having me. I’m good, life is good. I’m blessed! I have been a huge fan of your work since 1996 and truly love and appreciate your music and contribution to my rnb / soul diet. How has this journey being for you from your early beginnings as backup singer with AL B Sure & Christopher Williams to a celebrated solo artist in your own right ? Thank you. I appreciate that. This journey had been a dream come true actually. It’s what I’ve always wanted and I wouldn’t trade any of it. The good or the bad! I have always found that your songs, especially tracks like “ Touch Me, Teach Me” “Shoulda Known Betta “, ”Faded Pictures”, “Not Your Friend” and “Missing You”’ resonate deeply with many people that listen to your words. I know for myself those particular songs held a lot of healing in some and pain in others depending on what I was experiencing in life. Thank you for creating such resonating music. Can you please explain your process and / or inspiration for writing the songs you do? Well when I’m creating I just try to first make sure I’m only doing what I truly feel or can relate to on a personal level. My philosophy is of I can feel it then there’s someone else out there who can too. I get inspired from life itself. Inspiration is everywhere. It’s in a baby’s cry, in a woman’s smile, in a friend’s kind word, it’s everywhere! Now I was blessed enough to meet and talk with you some 8 years ago when you came to Sydney as part of an urban music concert called Rock The Block….. Have you revisited since then and if not will we be seeing Case return to Australia to perform anytime soon? No I actually haven’t been back and I can’t wait to come back. I love Australia. It’s one of the most beautiful places I’ve visited. Hopefully soon I will! What are your thoughts on the current state of RnB / Hip Hop today as opposed to when you were first starting your rise? How have times changed musically and technologically and more importantly emotionally for you as an artist? I think music is on an upward swing. I like sum of weekdays going on now. I think technology may have watered it down to an extent because now anyone can do it. There’s no paying dues like we did. No real vetting process. Your music is largely about love, relationships, family and life – all aspects that make up the components of a happy and balanced individual. How successful have you been in achieving that balance in your life today and what have been some of the greatest lessons you have learnt about yourself as a man on your journey? I’m nowhere near as balanced as I’d like to be but I’m ok with that. As long as I’m trying to be better every day. I think the biggest personal lessons have been about me being able to persevere, to adapt, and to express myself in a more universal manner! The artists / people that inspire you and why? I’m inspired still by the music that originally inspired me. Marvin Gaye, Stevie wonder, Michael Jackson, the Jacksons, the Beatles, Elton john, prince, the list is endless. I take something different from them all but the one constant that I get from them is musical honesty, deep feeling and freedom. As a father what is the greatest gift you can and will bestow upon your children through song? The greatest gift is I want them to listen to me after I’m dead and gone, and feel like I’m there with them, like they’re talking to me. Only way to achieve that is to create genuinely. What are you currently working on at the moment? Future projects / collaborations? Currently finishing up my new album “Heaven’s Door “, touring constantly, negotiating a couple of reality shows. Currently working with teddy riley on the new album and a couple of other projects. Can you define what the ideal woman would be for you? Ideal woman for me would be one with a great sense of humor, a lot of understanding and doesn’t take herself too serious!